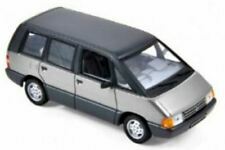 RENAULT 8 MAQUETA EN ESCALA 1/8 . El estado es Nuevo. Enviado con Correos: cartas certificadas. RENAULT CLIO I 1.8L 16S C. MADE IN FRANCE. EN L'ETAT, BIEN REGARDER LES PHOTO, VOUS ACHETEZ CE QUE VOUS VOYEZ ! BON ETAT A TRES BON ETAT : QUELQUES MICRO RAYURES SUR LE PARE BRISE. SANS BOITE, NO BOX. Les points blancs sont des reflets du de la lumière. Référence interne: PC17. 1/18 Scale Diecast Model by Onyx. Material Diecast. Scale 1/18. We cannot certify if the signature is genuine. The MODEL is in FAIR condition - Decals have lifted / cracked. The BOX is in GOOD condition - WORN. 1/18 Scale Model by OTTO. Scale 1/18. GOOD - The item will have had more use, showing obvious imperfections. The MODEL is in MINT condition. The BOX is in MINT condition. EXCELLENT - The item will have had very careful use, with only small imperfections. 1/18 Scale Diecast Model by Hot Wheels. Scale 1/18. Hand signed with certification. GOOD - The item will have had more use, showing obvious imperfections. New Arrivals. The RM Toys Team. Our aim is to ensure no matter what the model, we will provide an excellent service experience. 1/18 Scale Model by ANSON. Ending Soon. New Arrivals. The RM Toys Team. Kind Regards. Our aim is to ensure no matter what the model, we will provide an excellent service experience. GRADING CONDITIONS. Scale 1/18. The RM Toys Team. Ending Soon. New Arrivals. EXCELLENT - The item will have had very careful use, with only small imperfections. Kind Regards. Our aim is to ensure no matter what the model, we will provide an excellent service experience. 1/18 Scale Resin Model by Otto. Material Resin. Scale 1/18. SPARES or REPAIR - The item will be in a poor condition. The RM Toys Team. Kind Regards. Our aim is to ensure no matter what the model, we will provide an excellent service experience. 1/18 Scale Diecast Model by Solido. Scale 1/18. The MODEL is in MINT Condition. The BOX is in MINT Condition. Our aim is to ensure no matter what the model, we will provide an excellent service experience. 1/18 Scale Diecast Model by Solido. Material Diecast. Scale 1/18. MINT - The item is in perfect condition. FAIR - The item will have heavy signs of wear, showing major imperfections. GOOD - The item will have had more use, showing obvious imperfections. 1/18 Scale Diecast Model by Solido. Scale 1/18. MINT - The item is in perfect condition. FAIR - The item will have heavy signs of wear, showing major imperfections. Our aim is to ensure no matter what the model, we will provide an excellent service experience. 1/18 Scale Model by NOREV. Scale 1/18. Ending Soon. SPARES or REPAIR - The item will be in a poor condition. New Arrivals. The RM Toys Team. Kind Regards. Our aim is to ensure no matter what the model, we will provide an excellent service experience. 1/ Scale Model by ATLAS. Our aim is to ensure no matter what the model, we will provide an excellent service experience. Ending Soon. New Arrivals. EXCELLENT - The item will have had very careful use, with only small imperfections. 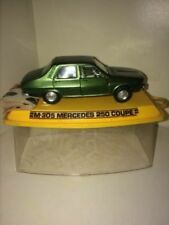 1/ Scale Model by DANBURY MINT. The MODEL is in MINT condition. MINT - The item is in perfect condition. Our aim is to ensure no matter what the model, we will provide an excellent service experience. 1/18 Scale Model by HOT WHEELS. Scale 1/18. GOOD - The item will have had more use, showing obvious imperfections. New Arrivals. The RM Toys Team. Kind Regards. Safe & Secure. Our aim is to ensure no matter what the model, we will provide an excellent service experience. 1/18 Scale Model by SOLIDO. Scale 1/18. Ending Soon. New Arrivals. The RM Toys Team. Kind Regards. Our aim is to ensure no matter what the model, we will provide an excellent service experience. GRADING CONDITIONS. 1/18 Scale Diecast Model by Norev. Scale 1/18. EXCELLENT - The item will have had very careful use, with only small imperfections. GOOD - The item will have had more use, showing obvious imperfections.